The newly-appointed Commissioner of Police for Abia state, Anthony Ogbizi, assumed duty on Thursday, with a call on residents to embark on profitable ventures and ensure peace in the state. Ogbizi took over from Adeleye Oyebade after a brief handover ceremony at the command’s headquarters in Umuahia. The new Commissioner of Police reassured residents of the command’s resolve to protect their lives and property. Ogbizi said this in a statement made available to the News Agency of Nigeria (NAN) on Thursday in Umuahia. He said that adequate security architecture had been put in place to make commercial and social activities thrive without any hitch across the state. The commissioner advised the people to go about their normal lawful businesses and disregard rumours and false information making the rounds. Ogbizi also called on members of the public to report promptly any unlawful gathering or activities of individuals with intent to cause a breach of peace to the Police or other security agencies. He also condemned the razing of Ariaria Police Station in Aba and expressed his resolve to work hard to make Abia safe for all. Mr. Ogbizi warned against clamour for disintegration of the country, saying there would never be “a republic within a republic”. Earlier, Mr. Oyebade thanked the Inspector-General of Police, Ibrahim Idris, for the opportunity to serve in the state. The outgoing police commissioner urged men and officers of the command to give the new commissioner their maximum support and cooperation to enable him tackle crimes such as kidnapping, armed robbery and child trafficking. 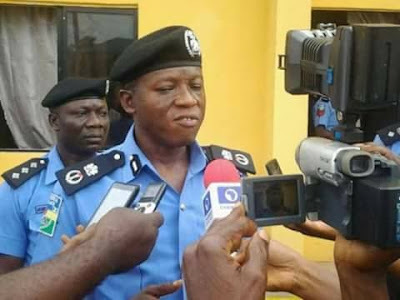 NAN reports that Mr. Ogbizi was recently appointed the new police commissioner for Abia following the posting of new commissioners of police to some states.